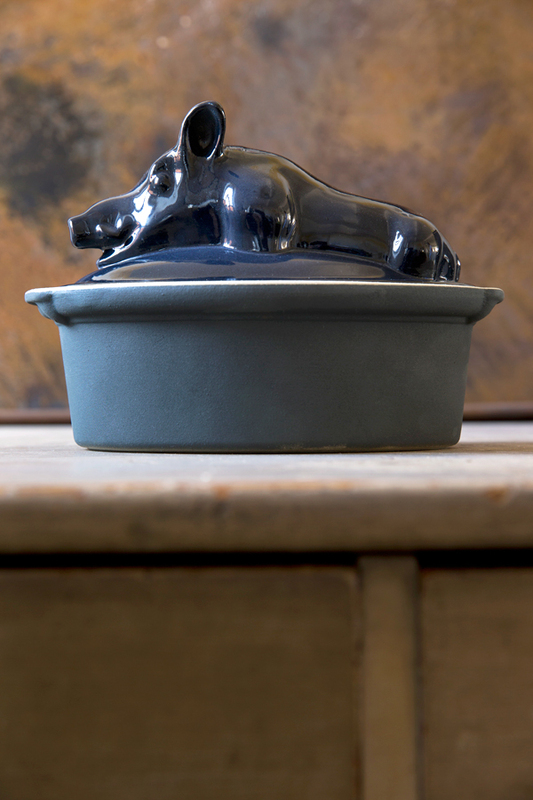 These pots are from The Manufacture’s archives. 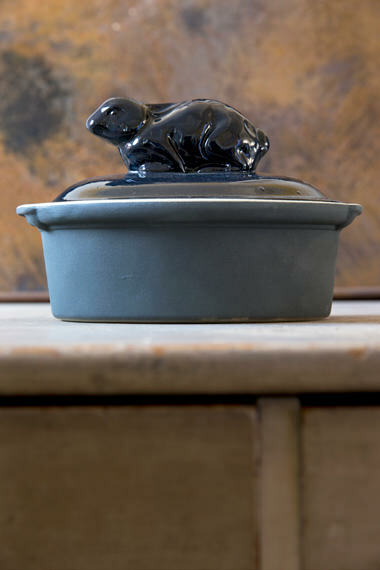 In 1413, the adjective “Terrin” (land) gave name to this wonderful object: the Terrine defined as an earthenware container, sufficiently deep and provided with a lid, in which you cook and preserve some kind of meat. 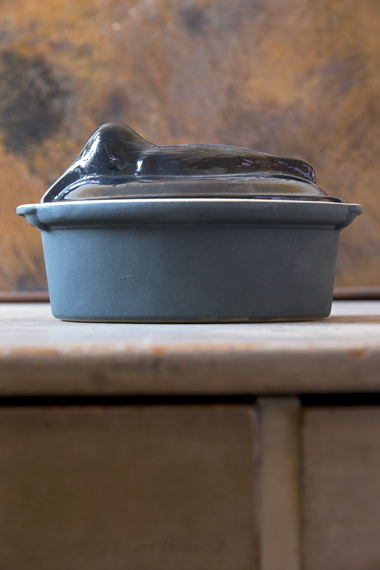 Pâté recipes dating back to the middle Age use Terrines to cook and serve these foods. In the 16th century, the most fashionable Terrines were cockerel, golden beak woodcock, chicken, duck and venison. 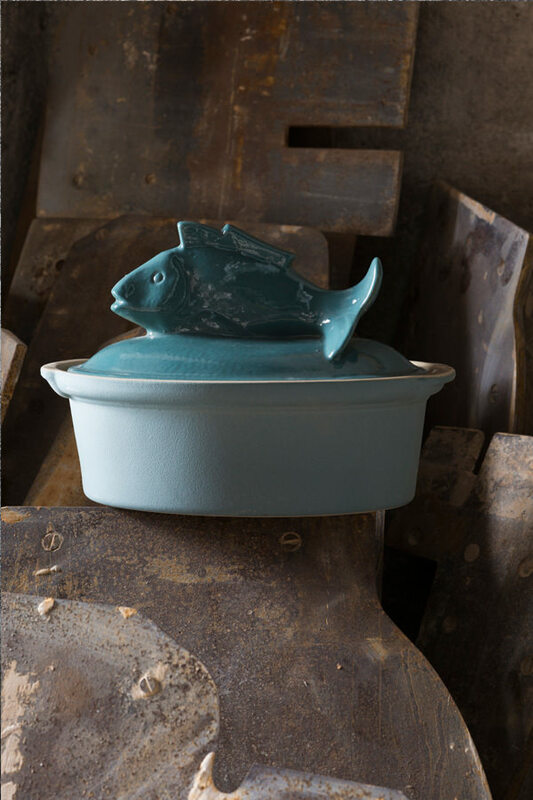 Because our stoneware is fired at a very high temperature, it is completely vitrified and particularly non porous, meaning that odours cannot be transmitted. It exists in Encre bleu nuit, Bleu de gris, Glaçon and Blanc.